Sun 19 August, 8 pm. Uri Bar-Ner will be coming from Israel to give a fascinating illustrated presentation on the international Izmir project. 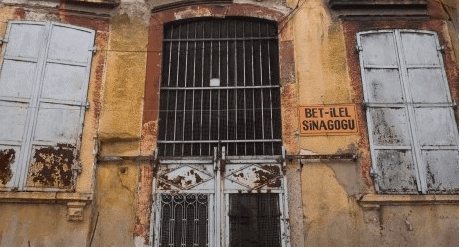 The project plans to to turn a cluster of eight Sephardi synagogues into a Jewish heritage centre. Harif/ Holland Park Synagogue/ Foundation for Jewish Heritage. Light refreshments. Tickets £5. Book your place by ringing Holland Park Synagogue (8, St James Gardens, W11 4RB) on 0207 603 7961 or email info@harif.org.